UACTIV is not your run-of-the-mill sports or fitness app. UACTIV is social networking and discovery for all sports and fitness enthusiasts. Our tech platform takes a community based approach to make sports and fitness more social, engaging, convenient and experiential for millennials. On UACTIV, you can (1) connect and schedule activities with like-minded individuals from your area (2) join group activities hosted by fitness studio's, communities and other users (3) host your own group activities in your favourite sport or fitness activity and invite other users to be a part of it! On creating an account, every user builds their own unique profile and identifies their favourite sports and fitness interests. 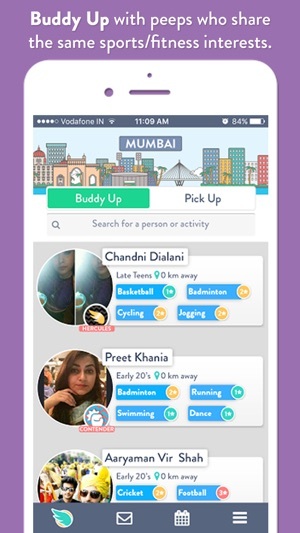 Buddy Up: Find, connect and schedule a sports and fitness activity with like-minded people in your geo-location. Also, see Facebook Mutual friends you share with people you match with, so you're not connecting with a total stranger! Send a Buddy Up request, and if they accept you can start chatting with them, just like other dating apps! 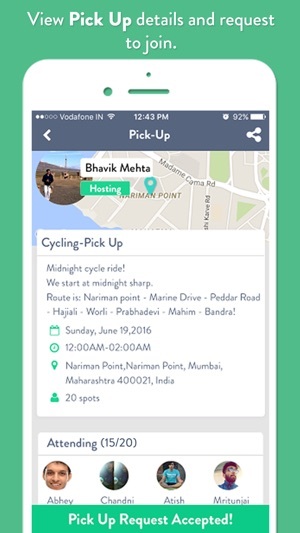 Pick Up: Find & join a group class, event, workshop or game in the several activities offered on the app. Join free and paid events happening all over the city! 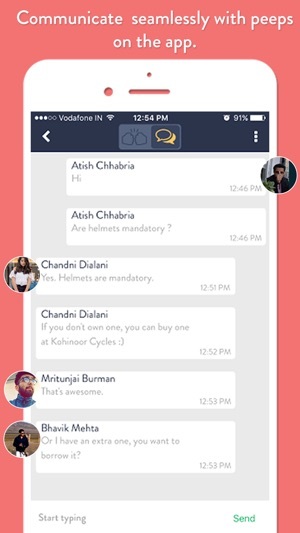 Chat: Seamlessly communicate on-the-go using our sophisticated chatting tool and stay connected with your workout buddies and groups. Share media, contacts, geo-location and much more without even sharing your personal contact details. 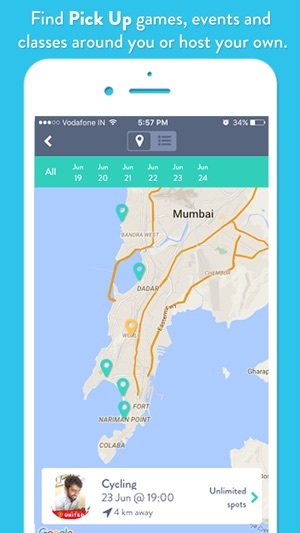 Reviews & Feedback: Users can review and get reviewed for their buddy ups and pick ups. This allows users to build credibility within the UACTIV community as well as help them find the most reliable matches for their physical activity interest(s). 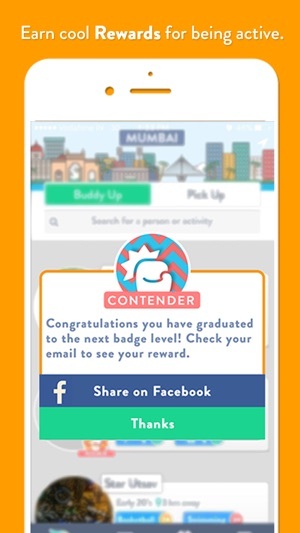 Rewards: Users earn cool rewards (discounts & free products) for being socially active! News & more: View live updates, blogs and more. Fixed a few bugs we hope you never noticed. Good concept! Appreciate it. However, at times the app crashes when we try to look for more like minded people. If that can be maintained/enhanced, then its a great work. A very fun app for meeting people and getting fit!! Lots of cool things one can do on this app. Great platform to meet people and see join sports and fitness related activities happening all over the city. App works slow sometimes but otherwise great stuff! !